I recently ordered two long VGA cables and a 2/4 port monitor cable splitter. The order was dealt with very professionally and received quickly - within a few days - and was packaged carefully so that no damage occurred. I would certainly recommend your company to my colleagues and will of course use your services in the future should the need arise. 200GB SanDisk Ultra Micro SDXC Memory Card with SD Adapter (Class 10 UHS-1) + FREE SHIPPING! SanDisk 200MG Micro SD Card + SD Adapter - Expand. Enhance. Upgrade. 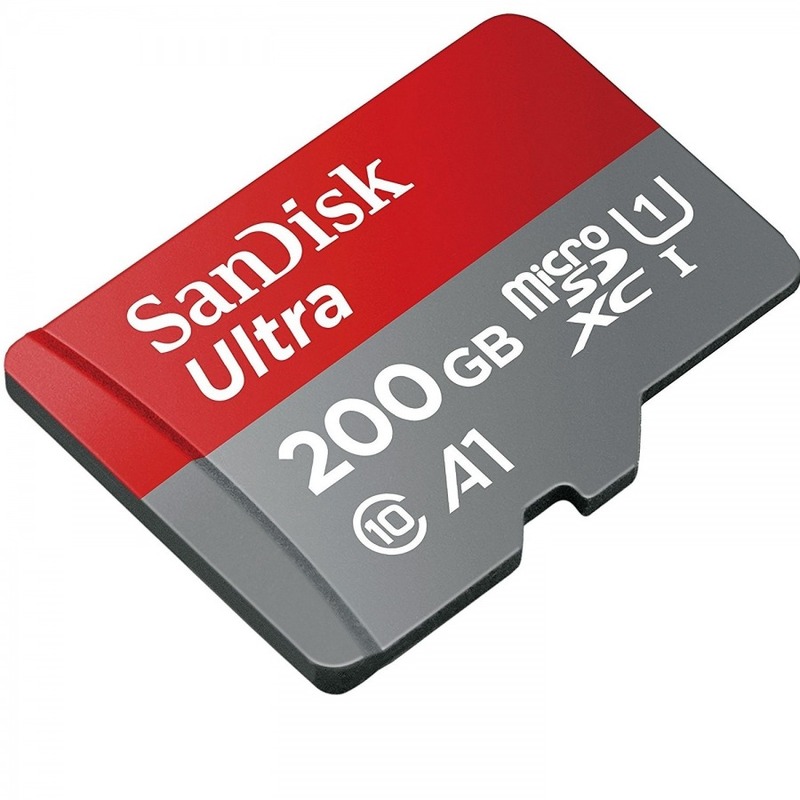 Provides an massive 200GB of memory in one tiny card for all Micro SD (SDXC) compatible devices, and SD Card (SDXC) devices via included adapter. Please note that SDXC cards are not compatible with most devices released prior to mid 2012. Supports up to 100Mb/Second speed. This High-Capacity Micro SD card (SDXC) offers 200GB* of storage, so ensure your device can handle momory cards greater then 32GB (in the SDXC standard). Most devices less than a few years old should however. It's a Class 10, UHS-1 speed rated card, making it one of the best and most versatile bang-for-buck options on the market - perfect for video capture in camcorders or GoPro cameras! NOTE: Formatted capacity is less than 200GB as with all storage media. Full UHS-1 performance requires a UHS-1 enabled host device. I only ordered the coax yesterday, and it's already here -- that's amazing! Many thanks for your efforts.